The man accused of killing the mother of his children and ex-girlfriend, Casey Brace, 29, and her grandfather, Herbert Townsend, 76, in a Washburn home on January 5, 2015, and then kidnapping his two year old daughter, was found guilty on all six charges against him on Thursday, September 28. 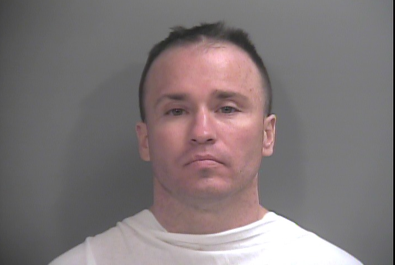 Christopher Paschall, 39, of Springdale, Ark., was convicted of two counts of first degree murder, three counts of armed criminal action and a single count of parental kidnapping. The four-day jury trial took place in Newton County after a change of venue from Barry County. Paschall’s murder charges carry mandatory life sentences. The state did not seek the death penalty against Paschall. Paschall’s sentencing hearing will be in Barry County on December 19, at 1 p.m. in the courtroom of Judge Jack Goodman. According to initial statements of probable cause, Paschall showed up at Herbert Townsend’s residence on Farm Road 1055 near 8th Street in Washburn on January 5, 2015, and shot his ex-girlfriend Casey Brace, 29, and her grandfather, Herbert Townsend, 76, before kidnapping his and Brace’s daughter and taking her back to Springdale. The child was later found safe at Paschall’s parents’ home in Springdale where he was arrested without incident. The Barry County Sheriff’s Department received a call from the residence but the dispatchers could not understand what the male caller was saying. It is believed that Townsend placed the call. When Deputy Bill Watkins entered the home, he saw Brace on the floor but could not find her pulse. He heard Townsend moan from across the room. Townsend was holding a rifle but dropped the weapon when he saw Watkins. When Watkins asked, “Who did this?”, Townsend told him it was Chris Paschall. Paschall and Brace had a tumultuous relationship, according to then-Barry County Sheriff Mick Epperly. He said that Paschall had been stalking Brace for months. He also confirmed that she had taken out an order of protection against him but the stalking hadn’t stopped. According to court records, Paschall had an order of protection filed against him for adult abuse stalking in October 2014 and was charged twice with violating that order since that time. Paschall was charged in October for violating the order and then again on December 15 of the same year. Former sheriff Mick Epperly stated, “I had one of [Townsend’s]family members say that he was a hero, and he absolutely was. He was shot four times and still was able to reach a phone and call 911. Even though he was suffering, he was able to pass along that information on what we needed. What a hero.” Law enforcement attributes Townsend for their ability to find the child safe. An Amber Alert was issued for Alli around 4:38 p.m. on Monday afternoon but cancelled shortly after when Paschall was found at his parents’ home in Springdale, Ark. Law enforcement relied on a cell phone signal from the immediate area of his parents’ residence, but his car was parked some distance from the home. Townsend was taken to a hospital in Springfield for treatment, but succumbed to his injuries later that night. Brace was the mother of three children, two of them with Paschall. The two older children were not in the home during the shooting because they were at school. Paschall was held in the Washington County Jail in Fayetteville, Ark., facing possession of a firearm, possession of drug paraphernalia and theft by receiving in Washington County, Ark., Circuit Court before being extradited back to Barry County and subsequently Newton County for the trial.